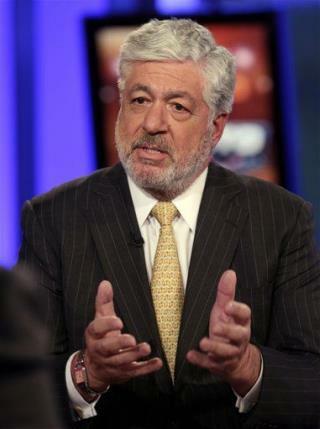 (Newser) – Doing nothing to help rehabilitate the public image of bankers, AIG's CEO Robert Benmosche has sparked outrage by comparing backlash over the millions in bonuses the company paid staff in 2009 to racist lynchings. The uproar "was intended to stir public anger, to get everybody out there with their pitch forks and their hangman nooses, and all that—sort of like what we did in the Deep South [decades ago]. And I think it was just as bad and just as wrong," he told the Wall Street Journal in an interview. To me they are nothing more than extension of Al-Qaida arm, that is killing millions. His pension should have been 40 square miles and mule?